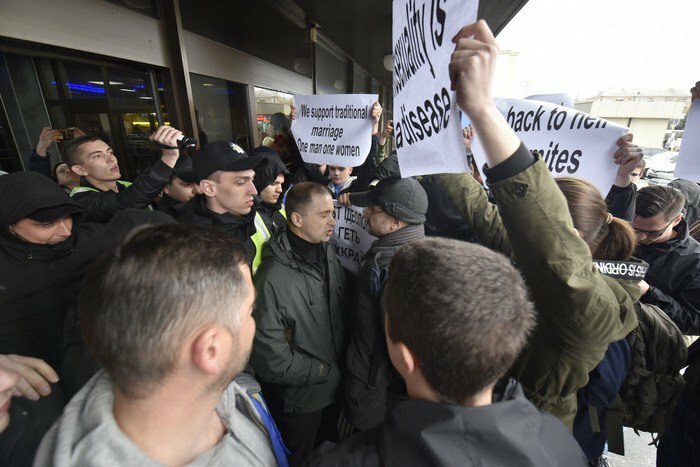 Several people picketed the Tourist hotel in Kyiv which will host the European Lesbian Conference (EL*C) on 12-14 April, an LB.ua correspondent has reported from the scene. 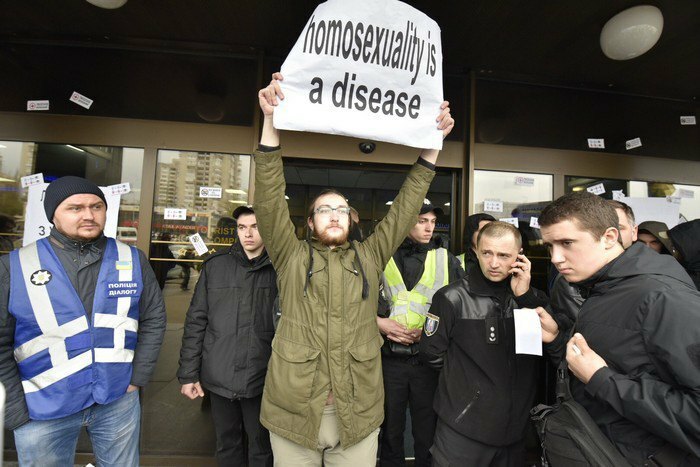 They were holding posters saying “Homosexuality is a disease”, “We support traditional marriage. One man, one women” (in English) and other. There were policemen on duty. There were no quarrels among participants in the picket. «The results of many European countries’ elections have, in the last few months, brought to power individuals and movements deeply dangerous for LGBT persons and women, which means specifically hostile to lesbians. To counter this trend and present another face of Europe, one month before the EU elections of 2019, the second European Lesbian* Conference will be held in Kyiv, Ukraine,” the organizers of the event said.